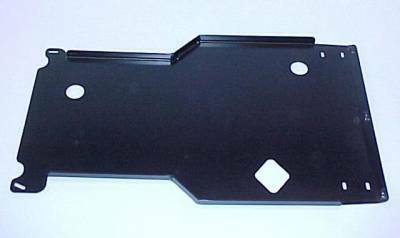 4x4 Parts - Skid Row Engine/Transmission Skid Plate APSPENGTRANSX - Your #1 Source for Nissan Aftermarket Parts! Protects your oil pan, front differential and transmission. Oil drain holes allow changing engine, differential & automatic transmission fluids without removing the skid plate. Must be used with the front skid plate, sold separately.